The following is a list of the highest paying superfectas in Breeders Cup racing history. To get this info, I went through all of the Breeders Cup races run from 1984 to 2017. The top 10 paying superfectas for all the Breeders Cup races have averaged a whopping $142,000 payout for each $1 winning ticket. 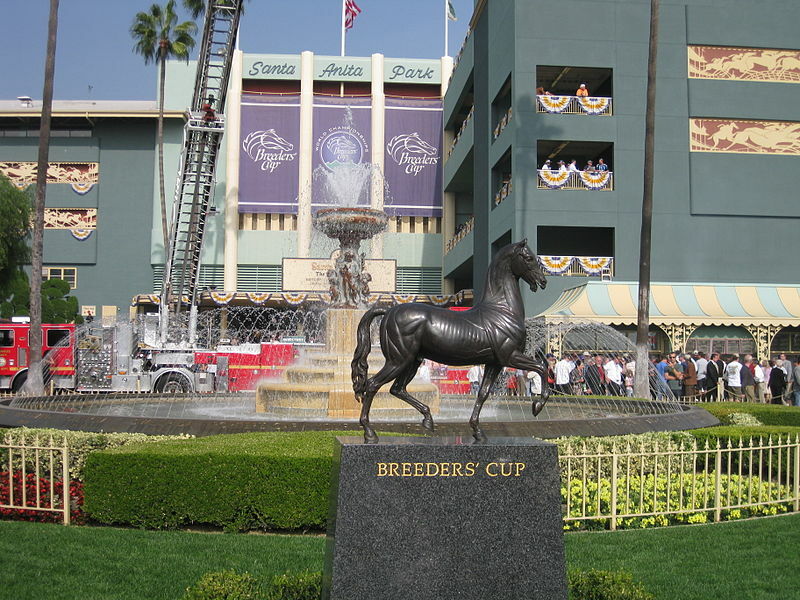 The Breeders Cup is an annual series of races for the best horses in horse racing that takes places in late October or early November. 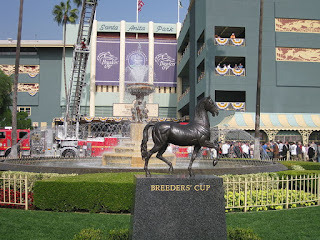 The Breeders Cup races are run at a variety of distances on both turf and dirt surfaces, and all of the Breeders Cup races have purses of $1 million or more. To win a superfecta, a bettor must pick the first four winners in a race in the exact order of finish. The superfecta is a tough bet to win in horse racing, but as you can see below it offers bettors the best opportunity to make a lot of money on a very small wager. All payoffs listed below are for a $1 bet. The payouts listed here are the official Breeders Cup track payouts. The superfecta is a relatively new bet and was not officially around when the Breeders Cup races were started, and there was no official superfecta in 1993 when Arcangues won the Classic and paid a record $269.20 to win. The highest paying superfecta in Breeders Cup history took place in the 1999 Breeders Cup Classic when the winning combo of 6-9-4-12 paid a whopping $692,907.00 for each $1 winning ticket. Cat Thief (19.60 to 1 odds) won the 1999 Breeders Cup Classic, with Budroyale (26.50) running second, Golden Missile (75.30) running third, and Chester House (63.60) running fourth. I bet $5 across the board on Golden Missile in this race and he paid a nice $30.20 to show, but coming into the stretch he made a move and looked like he was going to win the race at huge odds but then he flattened out and finished third. I did not bet the super. The third highest superfecta payout in Breeders Cup history took place in the 2000 Breeders Cup Turf when the winning combo of 1-11-10-9 paid $99,813.00 for each $1 winning ticket. Irish bred Kalanisi (4.60) won the race, with Quiet Resolve (41.90) second, John's Call (7.60) third, and English bred Mutamam (37.10) fourth. The payout was pretty good considering the winner of the race was not even 5 to 1 odds. Fourth highest payout took place in 2014 Juvenile Fillies race when combo of 6-11-10-1 paid $97,620.00 for each $1 winning ticket. Take Charge Brandi (61.70) won the race, Top Decile (5.80) second, Wonder Gal (15.30) third, and Feathered (13.30) ran fourth. The sixth highest superfecta took place in the 2006 Breeders Cup Sprint when the winning combo of 1-2-7-6 paid $56,955.60 for each $1 winning ticket. Thor's Echo (15.60) won the race, with Friendly Island (58.60) second, Nightmare Affair (29.10) third, and Bordonaro (4.10) fourth. The seventh highest superfecta took place in the 2012 Breeders Cup Sprint when the winning combo of 9-7-10-1 paid $54,432.90 for each $1 winning ticket. Trinniberg (13.70) won the race, with The Lumber Guy (3.90) second, Smiling Tiger (20.90) third, and Sum of the Parts (29.00) fourth. The eighth highest superfecta took place in the 2004 Breeders Cup Mile (Turf) when the winning combo of 10-7-11-4 paid $53,694.00 for each $1 winning ticket. Singletary (16.50) won the race, followed by Antonius Pius (31.40), Six Perfections (5.90), and Soaring Free (10.90). Bears fans should have had this one as Mike Singletary played for both the Baylor Bears and the Chicago Bears. The ninth highest superfecta in Breeders Cup history took place in the 2006 Breeders Cup Mile (Turf) when the winning combo of 10-7-8-4 paid $49,292.70 for each $1 winning ticket. Miesque's Approval (24.30) won the race, followed by Irish bred Aragorn (4.00), Badge of Silver (14.60), and English bred Sleeping Indian (21.50). The tenth highest superfecta came in the 2011 Breeders Cup Juvenile Turf when the winning combo of 5-11-4-12 paid $45,070.20 for each $1 winning ticket. Irish bred Wrote (11.60) won the race, followed by Excaper (33.00), Irish bred Farraaj (8.40), and Irish bred Lucky Chappy (12.40). The ninth highest superfecta came in the 2003 Breeders Cup Mile (Turf) when the winning combo of 13-9-8-11 paid $39,233.10 for each winning $1 ticket. French bred Six Perfections (5.30) won the race, followed by French bred Touch of the Blues (11.90), Irish bred Century City (39.00), and Irish Warrior (32.90). The tenth highest superfecta came in the 2010 Breeders Cup Dirt when the winning combo of 1-10-6-13 paid $36,883.80 for each $1 winning ticket. Dakota Phone (37.70) won the race, followed by Morning Line (5.80), Gayego (9.20), and Cool Coal Man (33.00).